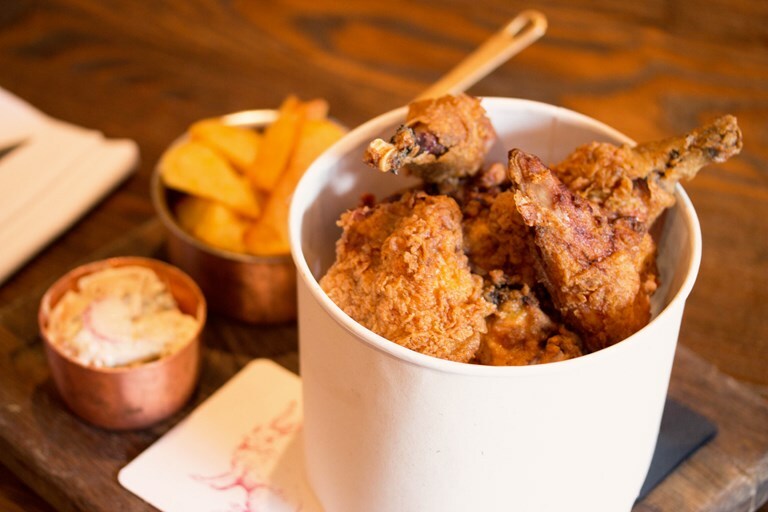 The Jugged Hare gastropub celebrates the wonderful taste of pheasant meat with this delicious fried pheasant recipe. A fantastic way to try cooking game at home, and a much more adventurous take on traditional fried chicken. The pheasant needs to be jointed into the individual thighs, drumsticks and breasts, but you can ask a butcher to do this for you if unsure.